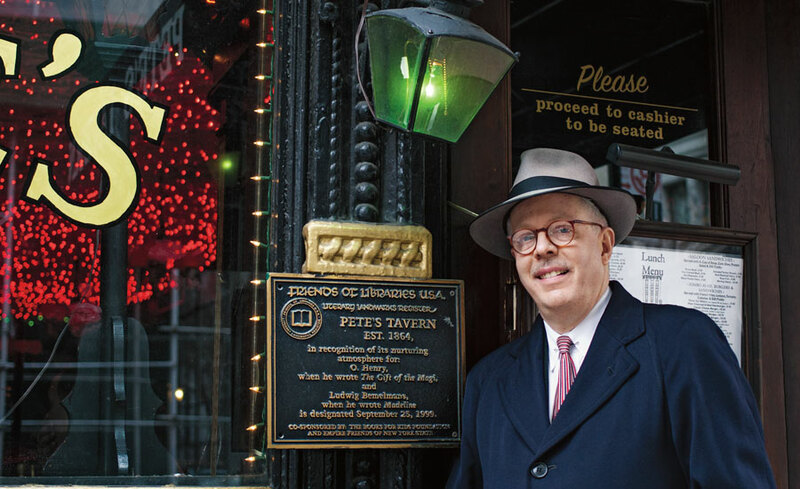 We’re pleased to announce that Brett Leveridge, the man behind Avenues and Alleys, has a story in Guideposts magazine’s popular annual holiday publication, The Joys of Christmas. In the story, Brett talks about the prominent role NYC has played role in forging America’s Christmas traditions and gives readers a sneak peek of what they’ll experience when they participate in one of our Christmas in NYC walking tours. You’re encouraged to read the story and if you’re going to be in NYC for the holidays, book your tour early before all the slots are filled. 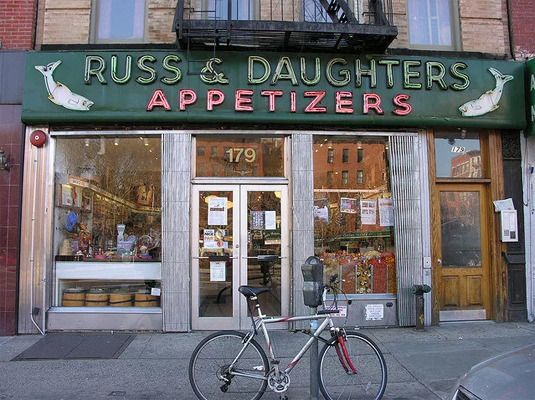 New Yorkers have been distressed in recent years (and with good reason) over the many venerable (and still viable) shops, restaurants and taverns that have had to close—not because their business had dropped off, but merely because their landlord had doubled, tripled, even quadrupled their rent. It’s an issue many residents of New York City care deeply about, as more and more chain stores and restaurants move into the city. The very nature of the town we love seems to be changing, and not for the better. But it’s good sometimes to stop and remember that all is not lost—that we still have many unique establishments that offer a quirky character all their own. Here’s a Buzzfeed list any New Yorker (and even more so, any tourist) should have handy as he make their way around the Big Apple. 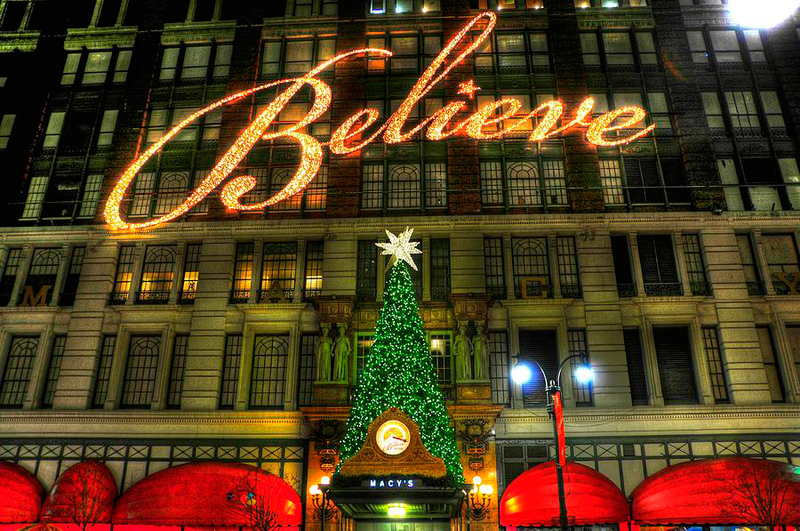 Christmas in NYC Tour Returns for 2015! Hey New Yorkers, if you have holiday guests arriving in the coming weeks, you may well find yourself scrambling for activities to keep them occupied. Why stress? Let Avenues and Alleys take over. 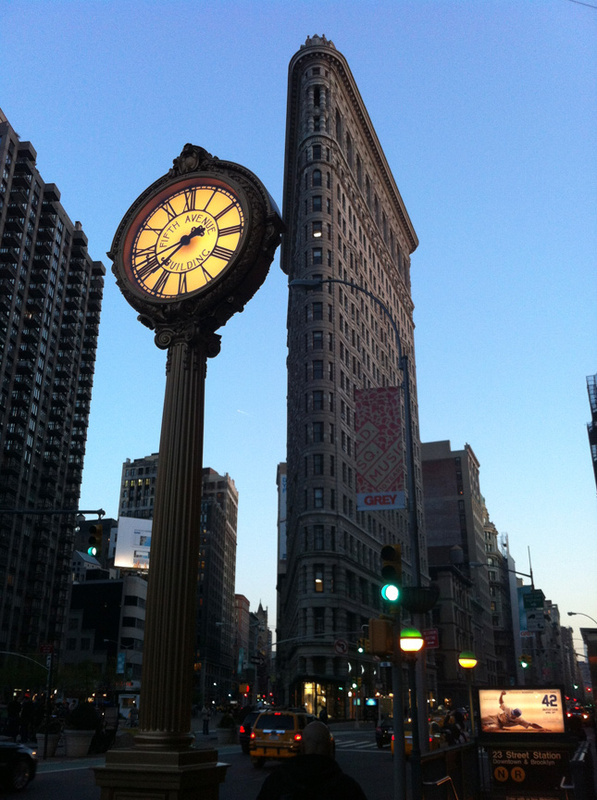 Treat your guests to our Christmas in NYC walking tour! Our Christmas in NYC Tour is a 90-minute walk during which we visit the sites and share the stories that have made New York City the Christmas Capitol of America. 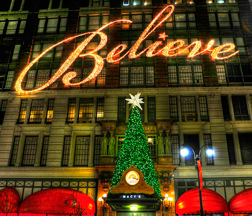 This midtown tour includes a look at Macy’s, the Empire State Building, Rockefeller Center‘s legendary Christmas tree, St. Patrick’s Cathedral and a string of gorgeous holiday window displays at such iconic establishments as Lord & Taylor, Saks Fifth Avenue, Tiffany and Co., and Bergdorf Goodman. We’ll also discuss New York’s iconic contributions to the holidays as they’re celebrated today, including the Macy’s Thanksgiving Day Parade, the Radio City Music Hall Christmas Spectacular, and even Santa Claus himself. This seasonal tour is available for booking from Friday, November 27, through Friday, January 1, on the following schedule: Monday-Friday: 9 a.m., 1 p.m. and 7 p.m.; Saturday and Sunday: 12pm, 3pm, and 6pm. Contact us at info@avenuesandalleys.com to make arrangements. The fee for the tour is $60 for up to four guests. 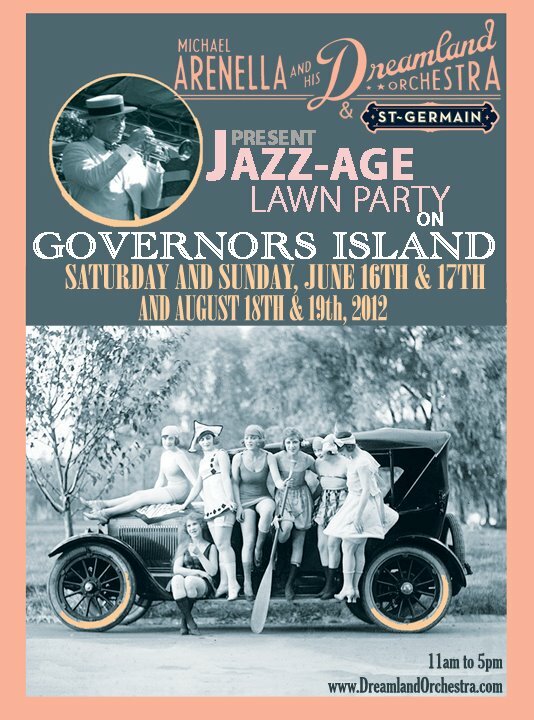 Additional guests may be included at $10 per person. If the above times don’t fit your guests’ schedule, other times might be available. Please contact us, and we will do our best to accommodate you. We can’t wait to show you the town! 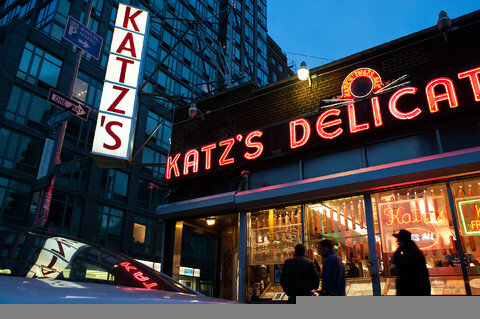 Do you want to eat at Katz’s when you visit New York? Oh, yes—yes, you do. You know you want to be here. Book a flight! 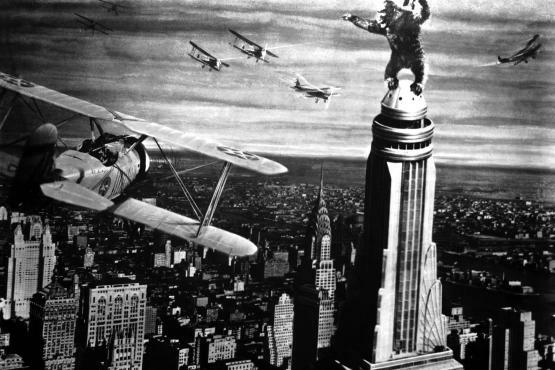 Whether you’re stuck outside the city or you live here but are daunted by the hordes of tourists, the Empire State Building remains a marvel for the ages. Time Out New York apparently agrees, as they’ve devoted an entertaining and informative slideshow to images of the Art Deco wonder. We recommend you follow the above link and give it a look. Orchestra leader, singer, and fashion plate Michael Arenella has a thing for the past. Arenella plays the music of the 1920s and the ’30s and wears clothes and drives cars that match. This weekend, he and his Dreamland Orchestra will again be featured at the annual Jazz Age Lawn Party on Governors Island, an event he founded some years ago. It takes place on both Saturday and Sunday. 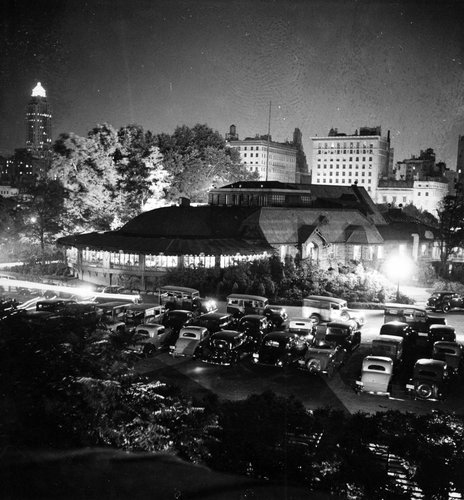 The Central Park Casino in its heyday. 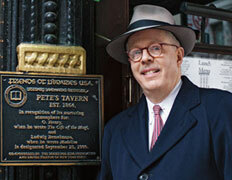 Stephen Wolf recently wrote an interesting look at the Casino’s history in the New York Times. The Brooklyn Bridge turns 129 years old today. A stroll across this magnificent bridge is an experience not to be missed! 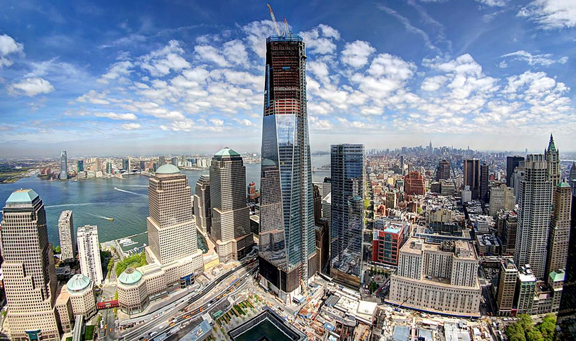 One WTC officially becomes NYC’s tallest structure today. Here’s a slideshow of impressive photographs of the construction process.